Departure from our bus Terminal at 8:00 a.m. through La Mancha country to Cordoba. Sightseeing tour, visiting its famous Mosque/ Cathedral and Jewish Quarter. 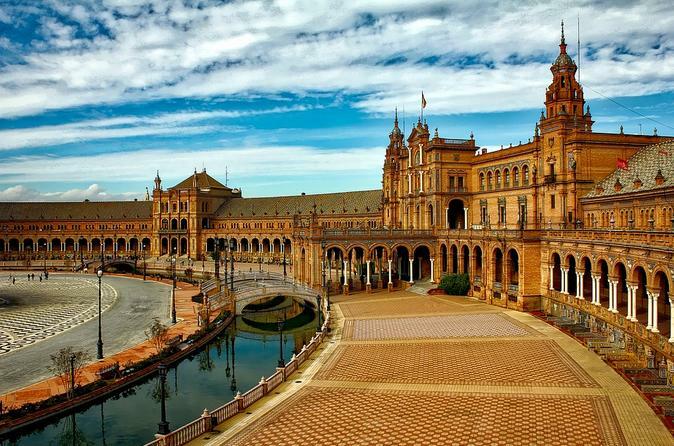 Then to Seville. Dinner and accommodations. Half board in the hotel. Morning city tour visiting the Park of María Luisa, Plaza de España and typical Barrio de Santa Cruz. Afternoon at leisure. Breakfast. Departure to Granada. Sightseeing tour visiting the impressive Alhambra with its beautiful Nazari Palaces and the Generalife. Dinner and accommodations. narrow streets and alleys. Continuation back to Madrid. Arrival and end of the services.